Youtube Navigation: Every minute about 300 hours of videos is uploaded to YouTube every day with 5 billion videos being watched daily by the users. Even Google knows its products are addictive with a viewership of about 30 million visitors per day. As part of its efforts to promote digital viewership, Google has decided to show you the Watch Time or in YouTube Analytics it is Audience Retention, where you can find how much time you are spending on YouTube, binge-watching with its new feature that is rolling out globally on the smart versions, Android or iOS. 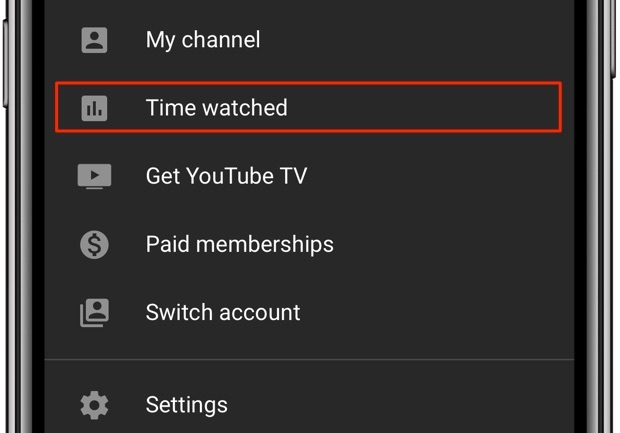 Google has announced just recently the new Time Watched Tool which only the YouTube users will access through their account menu. Their personal time watched profile will show the time for how long the users or the viewers have watched the YouTube videos today, yesterday, or even over the past few weeks without sharing your personally identifiable information on Watch Time Report. This video service will be available under your account menu which has a number of other features as well, for instance, break reminders and notification limitations that will help you keep a track of time lest you end up spending one more day of your precious digital life. This analytics data is updated once a day and usually you can use the report to see data about impressions, click-through rate, the number of views people watched your content. One can see the analytics on the mobile device also by installing the YouTube studio app. Watch Time Analytics helps its users to understand the quality of their videos and how well the different videos is keeping the viewers engaged. Earlier this year, Google revealed the ‘Take a Break’ feature for YouTube Android users, letting them set a reminder to appear every 15,30,60,90, or 180 minutes that pause the current video being played. This ‘snooze’ function is time-based and users can opt out quickly to close the app or continue watching by dismissing the notification. The setting is optional and by default, it is switched off. The company revealed other digital wellbeing related YouTube features that also includes the ability to disable the sounds and vibrations. Notifications from the app for a specified period of time, and a scheduled digest, that provides all the updates at a particular time of day. After the roll-out of Take a Break, Google also brought a dark Mode to YouTube for Android users in helping to avoid eye-strain and prevent interference with their sleep cycle.